Derby Accountants – Based in Derby, we act for and with owner managed businesses throughout the whole of England. Thinking of Changing your Accountant? Read the Summer 2018 issue of our Pay Less Tax Newsletter. Pension Tax Charge – could you receive a surprise tax bill? National Minimum Wage V National Living Wage – What’s The Difference? We operate a mailing company in Ilkeston, and moved to Sibbalds at the beginning of 2009. David immediately met with us to undertake some pre-year end tax planning, which was something we had never received before and resulted in a corporation tax saving of £15,000. David and his team really are pro-active – they are always offering ideas on how we can grow the business and pay less tax. Earlier this year, thanks to some remuneration planning we did with David, we were able to apply for Tax Credits which we had previously not qualified for. 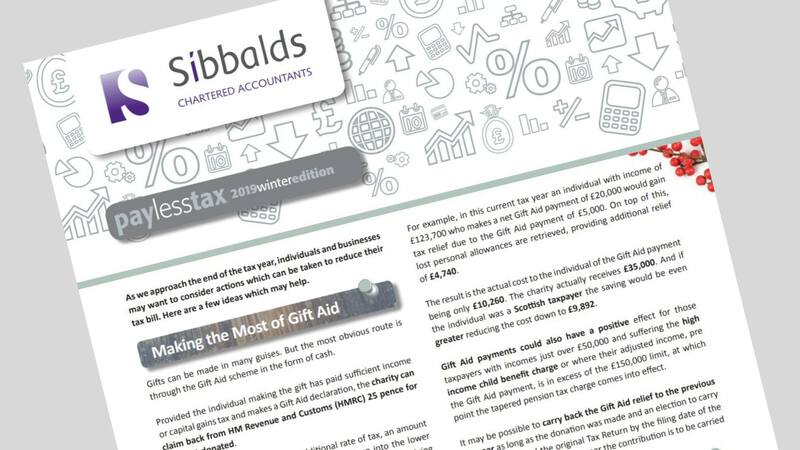 I would be delighted to recommend Sibbalds to any business owner who wants the support of an accountant who will actively look for ways to help them increase their wealth. Brendan joined Sibbalds in August 2018 as a Trainee Accountant. He is currently enrolled at Babington College, where he is working towards his AAT Qualification. Congratulations to Natalia for qualifying in AAT! Why does the UK tax year end on 5th April? Sibbalds is the trading name of Sibbalds Limited, registered in England & Wales No. 4702804, registered office as above. Details about our audit registration can be viewed at www.auditregister.org.uk, under reference C001013117. Our professional indemnity insurer is Barbican Protect of 33 Gracechurch Street, London EC3V 0BT (registered office). America or Canada and excludes any action for a claim brought in any court in the United States or Canada.